You’ve been tasked with planning your upcoming holiday gatherings! What do you do now? Nectar Catering and Events has been planning parties for others in the Spokane area for nearly 10 years. Let us help take the stress out of the season and ensure that every detail is attended to. 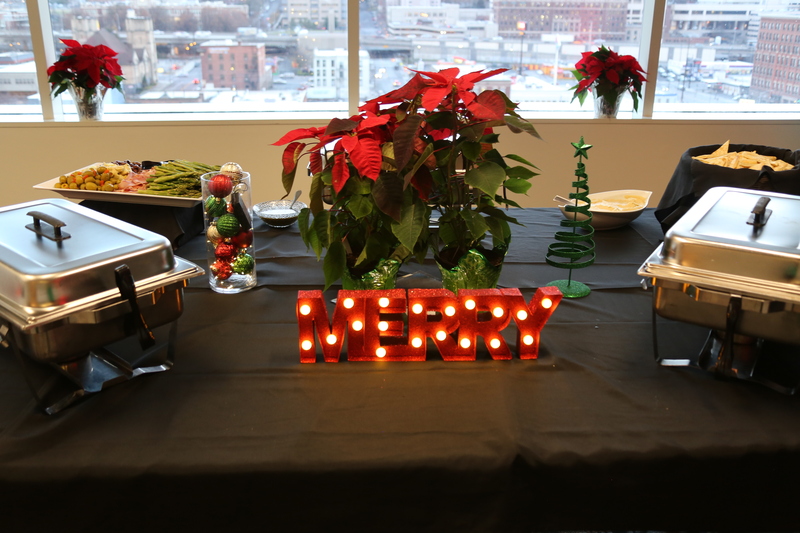 Here are some tips to consider when planning that next holiday event. Below are a few ideas for planning your holiday get together. Time of Day can dramatically effect your budget: Hosting events from 4- to 6pm or 7 to 9pm can have a dramatic effect on your food and beverage budgets. These times convey “light appetizers” because people typically will eat at the 6pm hour. Events that go later into the evening tend to have higher beverage costs. Don’t over do it: There really isn’t a need to provide 8 different choices for appetizers. A spread of 3 to 4 appetizers is usually appropriate. If you want a larger variety then cut down on your quantity to avoid having a lot of left over food. Want to save a little on food but still offer a classy experience. Try a passed appetizer options. Experience shows that 70% of the normal quantity of food is needed for passed appetizers. You might need to pay a little extra to have additional servers on site but the food savings will offset that. Plan now: Get your event booked early. Waiting until mid-November to book a holiday party will significantly lower your choices on preferred dates. We have people book our event space in January for December events. Early planning will also give you greater peace of mind and will make your event less stressful. Consider a partially hosted bar: Bar bills can get out of control if you are hosting. One way to minimize your bill is to give your guests “drink tickets.” Tickets can be redeemed for the beverage of their choice. Once they spend their drink tickets they are welcome to buy more on their own dime. As a side note, consider offering Uber, Lyft or Taxi service at your event. Nothing will put the damper on the holiday spirit like a DUI, accident or lawsuit. It is the responsible thing to do. Think January: Extend the holiday spirit into the new year. Many prime event facilities book up quickly in December. A January event can save you money on event fees and often times allow more people to attend because their calendar is not booked up with other event invites. Nectar Catering and Events will offer early week and January discounts on our room rental rates too!